Many parents who save for their children’s college expenses do so through an investment account such as a 529 College Savings Plan. The parents make contributions to the account and the money gains interest with the total fund designated for the future educational expenses of the children. If the parents get divorced, a question may arise as to which parent will have control of the 529 account. Generally, although the account is designated for a child’s college expenses, the account may also be in one or both parents’ names. Therefore, the parents can make decisions as to how the money in the account is invested and distributed. A parent with control over the account may make a withdrawal and spend the money for other purposes, except that any expenditure on non-educational purposes will result in a tax penalty. Which parent has control over the account is therefore an important issue to be resolved during the divorce, especially if one parent is more likely to misuse the funds, or use the funds for the educational expenses of a child from another relationship. If misuse of the money in the account is a concern, the first thing a parent whose name is on the account can do is freeze the account. This typically prohibits any withdrawals and deposits from being made, but does not affect the growth potential of the funds in the account. The parents could also have the court handling the divorce make a determination of which parent will have control over the account. This kind of order from the court may come with stipulations on the way the funds in the account are to be used, and may have limitations on which kind of withdrawals the parent can make. The 529 account itself can also be divided into separate accounts, with each parent having control of one or more accounts depending on the number of children the couple has. 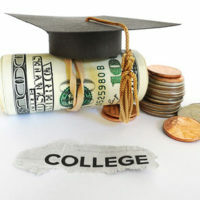 If a court orders parents to make contributions for college or other educational expenses, the court may order the parents to deposit these contributions in the accounts they control. Other options for handling the 529 college savings account is for the parents to liquidate the account and either split the funds between them, or put the liquidated funds into a trust for the sole purpose of paying for the children’s education. Using a trust will require a trustee to be appointed, and may make the issue more complicated in the long run. However, this will vary depending on other issues in the divorce. It is best to discuss the options available and which works best in your situation by speaking to an attorney. If you are worried about your former spouse taking advantage of your children financially because he or she has control over bank accounts or college savings accounts, you should take legal action to ensure that your children’s interests are protected. For more information and a consultation with an experienced and compassionate divorce attorney, contact the Law Offices of Schwartz | White in Boca Raton, Florida.